OMG! 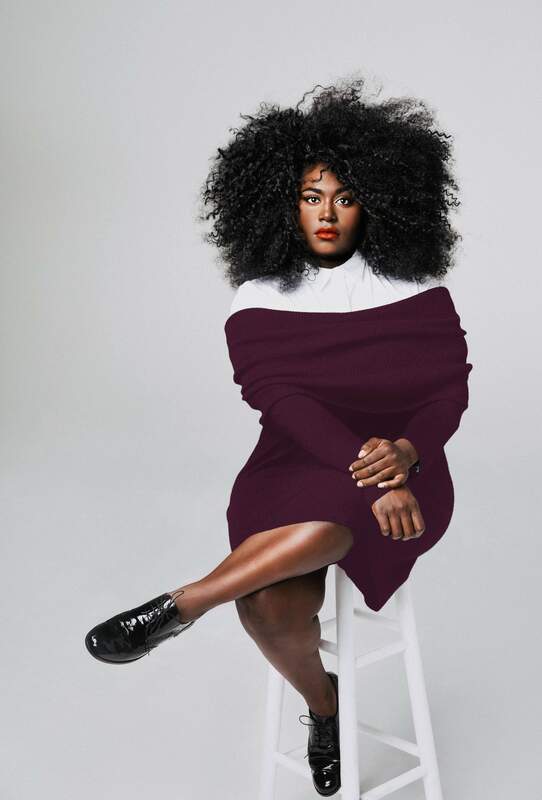 OITNB’s Danielle Brooks is teaming up with Universal Standard for her very first plus size collection! Learn more about “Tria” now! And a fashionable history was born! Universal Standard, a brand that boasts women sizes 10-28, is continuing their collaboration “Tria” series by showcasing quality and fashion-forward pieces. Brooks, a Tony nominated and Grammy winning actress is their second collaboration of the series. The series’ campaign was shot by photographer,Heather Hazzan. But, here’s the kicker! This is Brooks first time designing a collection with a brand! Brooks will incorporate her own personal style with the brand’s classic metropolitan chic. With the way Brooks has been styled during press tours and awards season, let’s just say my body is readyyyy! Along with her undeniable talent, Brooks is a key advocate for plus size women. The fact that she is teaming up with Universal Standard makes all of the sense given the brand’s dedication to change the “standard” game. Classic and timeless? You can never go wrong with that. Sign me up. Sign us all up! So, what can we expect from the Danielle’s Tria collection? Well, let’s dive into our imaginary showroom! I am always down to give ’em a little shoulder! I can totally see this dress being versatile enough to rock for any occasion. The Danielle Off-Shoulder Sweater Dress is available in aubergine and black, and retails for $190. “The overalls were a no brainer. For years I have looked for a pair of overalls that weren’t too baggy in the crotch, that presented some type of wow factor and that weren’t too long in the body. This one will be sure to satisfy every woman who has felt like me,” Danielle said. OMG! She nailed it! Overalls are tricky and certainly are not created equal. That baggy crotch is the worse! But, once you find a nice tailored fit for you, overalls can be super cute! I’m especially excited about Danielle offering a nice curvy overall option! The Brooks Overalls are available in black, and retails for $120. Solange Knowles?! Yes, honey! Statement pieces should definitely be universal because we all got a statement to showcase! And “excuse me, where did you get that? !” is music to a fashionista’s ears. The Danie Poplin Dress is available in black, rose, and teal, and retails for $110. So, I know you’re already on the edge of your seat wondering when you can partake in this fabulousness! Wait no more, because I’m here to tell you to mark those calendars! The Danielle Brooks for Universal Standard Tria Collection will be available on www.universalstandard.net beginning in mid-November. Just in time for holiday shopping! Wow, this is beyond exciting! Congrats to Danielle and we can’t wait to see the pieces on display! So, let’s talk Danielle Brooks’ new line! Do you have a piece that you’re most excited about? Are you like me and already know where you’re going to wear it?! OMG!! Customizable Plus Size Leather Jackets? See the New Jeff Cafone Collection!